Of the Kitten Kind: Gimme all the New Food! Vegan Cuts Snack Box. Gimme all the New Food! Vegan Cuts Snack Box. When I get an email offering me free food, I can't say no. I'm pretty sure I have written here previously that the way to my heart is certainly through my stomach. There is nothing that I love more than discovering new foods from different parts of the globe. So when the lovely people from the Vegan Cuts Snack Box asked me if I would like to review what they had to share, obviously I said yes. The package arrived today all the way from Portland, Oregon. I love Portand. I dragged my husband there whilst on our honeymoon in April last year. It's a vegan mecca. That place is the shiznit. When I received the package, it seemed incredibly small to be harbouring an array of snacks. However, when i opened that little pandora's box I was pleasantly surprised with what I found. 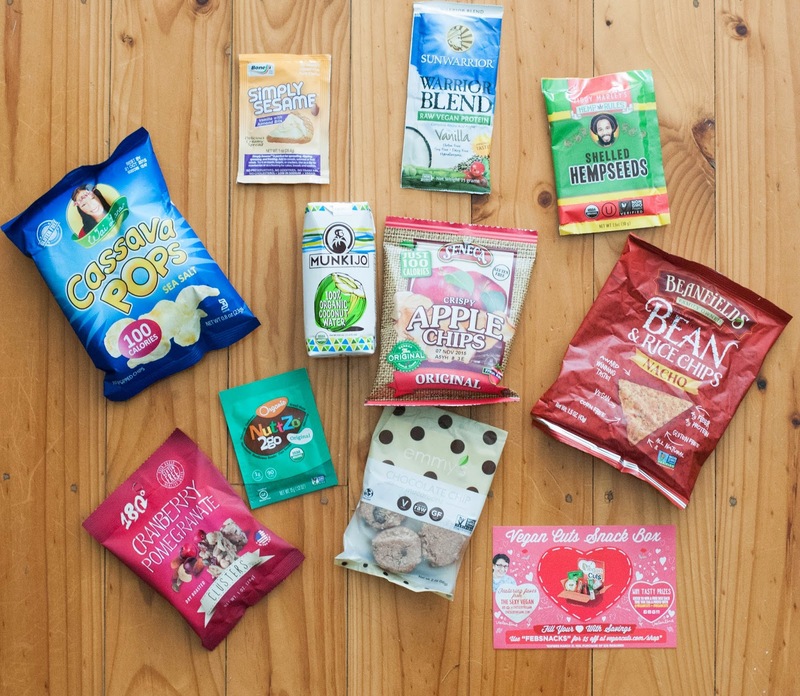 It was like if Mary Poppins had a box of vegan goodies instead of a bag- the snacks just kept coming. The first things I devoured were the apple chips and the NuttZo 2go spread. Oh, yum! My husband then stole two of the Emma's Chocolate Chip Macaroons. He loved them. Looks like they passed the omni test. The one I got to eat was damn tasty. The 180 degree Cranberry Pomegranate Clusters were crunchy and yum. I still have yet to eat the rest but I am pretty stoked so far. It's taking some real will power to not just devour it all. 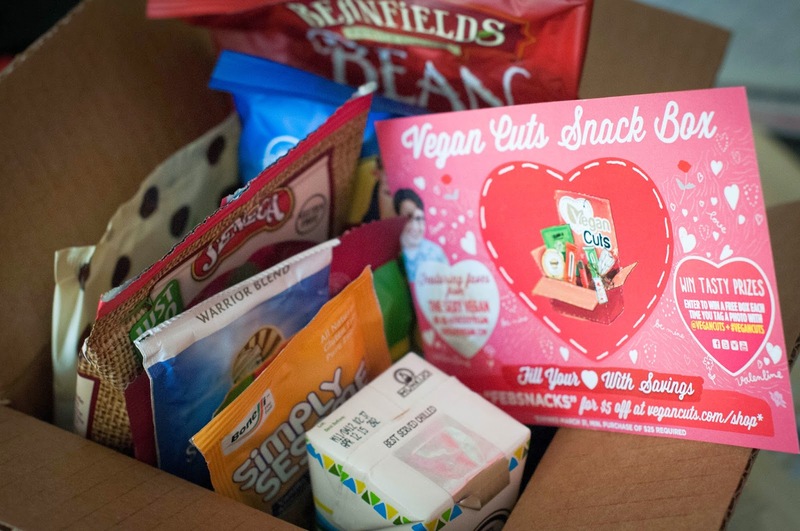 Vegan Cuts is a 100% vegan company consisting of an online market place that not only does these snack boxes, they also do beauty boxes full of make up and beauty products. I'm pretty intrigued as I love the idea of trying new products. These boxes come as a monthly subscription and you can cancel at any time. The boxes are only $19.95 (US) each and you know, it's only $15 (US) for international postage. Postage is free in the US and $8 to Canada. That's not bad. I have a pen pal in the UK and we often send each other vegan care packages. It usually costs me at least $35 just to post the damn thing, let alone buy the products. I heard someone say that the way they travel is through eating food. I love that idea. That's probably why I put on 5 kilos every time I go overseas. This is like travelling without even leaving your house and without the weight gain. Most of the snacks are gluten free and having a look at these, they were all low in calories. Thank you Vegan Cuts. I love the idea and I reckon I'll be subscribing.